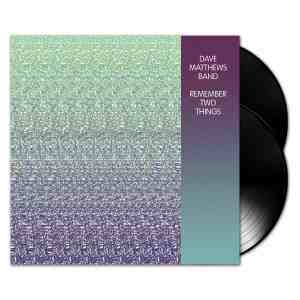 Originally released on November 9, 1993, Remember Two Things soon became a bona-fide word-of-mouth sensation and remains the first and best introduction to the DMB sound. It was the first official release on the group's own Bama Rags label. Available on vinyl for the first time ever, the two-LP, 180-gram deluxe audiophile release will be cut from new lacquers, prepared by Chris Bellman at Bernie Grundman Mastering. The vinyl release will feature the original album packaged in an individually numbered gatefold jacket and include a new eight-page booklet with full lyrics and rare and previously unpublished photos of the band. A download card will feature the full album plus two previously unreleased bonus tracks: early studio versions of "Pay For What You Get" and "Typical Situation," newly mastered by original album engineer David Glasser.